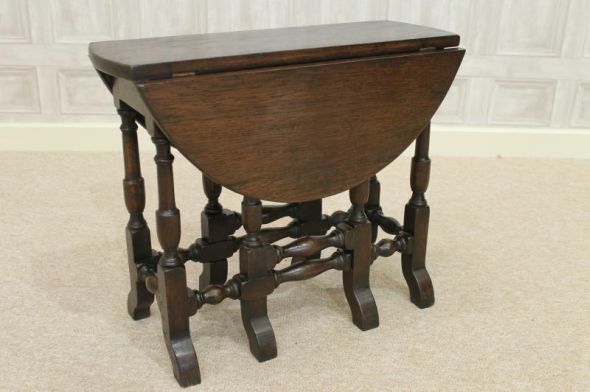 This antique gate leg table is a fine example of a piece of quality solid English oak furniture. This beautiful 1920s gate leg table features period styling, and would make a great feature in any period or contemporary interior. Please be aware that this is an old piece of furniture so there will be signs of general wear and tear. If there was any major repair work or damage, it would have been pointed out in the description or the photographs. We stock a wide range of antique side tables and occasional tables. Please see our other listings for more information, or contact us on 01543 375872.